With the current popularity of watercolor on the craft scene, I’ve been experimenting with creating a DIY patterned paper background for the cards I make. Of course, watercolor takes a little getting used to if you’re not familiar with it – and believe me, I’m not familiar with it. So, I decided to ease into it by starting with translucent dye inks. Grab 3-4 pads of ink in your favorite color combo. Since I was making a Valentine themed card, I chose reds, pinks, and oranges. 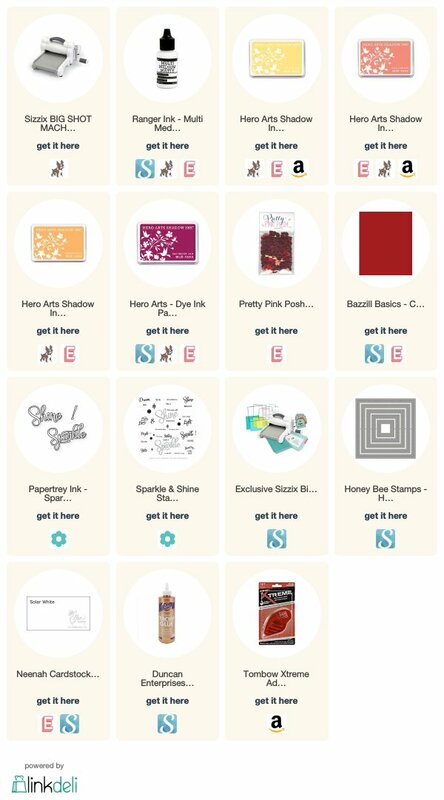 Choose a solid image stamp that matches your theme. Hearts for valentines, of course! Stamp your image repeatedly to create your background. Start with one of your middle colors, then add your lighter shade and finally your darkest color. That way the dark inks won’t overpower the design, and the bright colors won’t drown in the mix. You’ll notice for my stamping, not all the images are completely solid – I was going for a tissue paper look, so I inked my stamp without worrying about coverage. The sentiment and “Shine” are from Papertrey Ink. To make the word pop, I cut it three times and layered it to create a thick, chipboard-like element. Then, I finished off the card with a few heart-shaped sequins. Gotta add a little sparkle somewhere! If you liked this card, I’d love for you to pin it to Pinterest. Thanks for reading today! 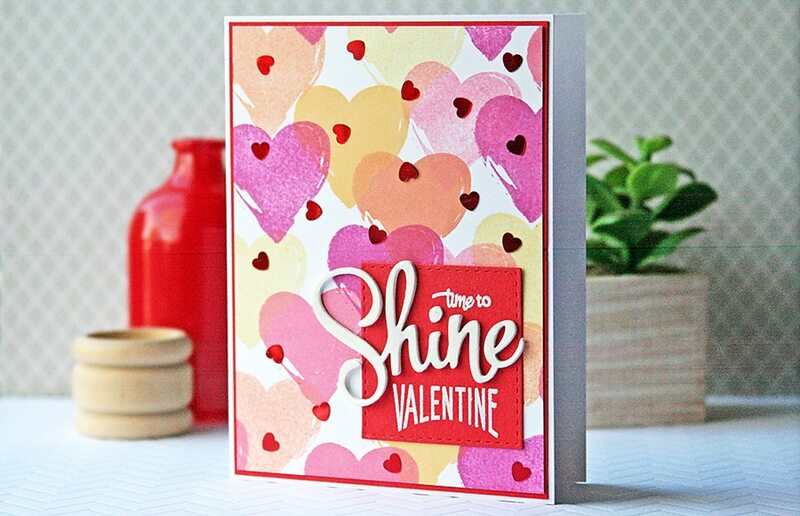 PS – Here’s another card with a stamped pattern background that I bet you’ll love!